It is no exaggeration that Mahabaleshwar, an erstwhile British territory, is one of the most beautiful as well as largest hill towns of Maharashtra. It is visited by a large number of holidaymakers every year. 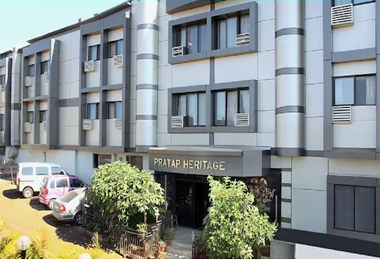 You can re-live the days of royalty by opting for heritage hotels in Mahabaleshwar as your accumulation option during your visit to this beautiful hill station. Most of such heritage properties are situated in close proximity to the well-known destinations of the region. During your stay in these hotels, enjoy a various activities like sightseeing and exploring the mesmerizing surrounding landscape. These heritage hotels are former residences and mansions of the erstwhile royal family of that region. After abolition of privy purses, when the generation of the royal family was not able to maintain these palatial buildings, they sell –off properties and thus heritage hotels in Mahabaleshwar came up. These hotels are perfect for both kinds of travelers, business or leisure. Have a comfortable stay in well-furnished, well-equipped and well-maintained rooms. The list of facilities is long including banquet or conference facilities, swimming pool, sauna, Jacuzzi, dining hall or restaurant, internet accessibility and much more. 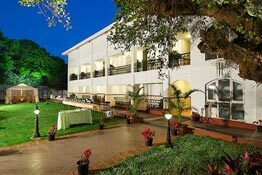 Opt for such hotels from Heritage Hotels of India.